Day 1 of PTC3 begun at World Snooker Academy, Sheffield. 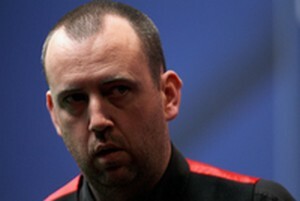 Mark Williams lost to Michael Judge in the first round by 0-4. The Australian Open runner-up once lost in the first round of PTC1 in June. I'm sure Williams knows he needs to start practising again! Ken Doherty made a good progress in the competition. Having won 3 matches (including beaten Jamie Cope), Doherty is now in the Last 16 of PTC3. Doherty started this new season really well, he found his confidence back. 2010 World Champion Neil Robertson stopped at Last 32. Despite winning his previous match against Ali Carter, Robertson was surprisingly defeated by Joe Jogia 2-4. Stephen Lee also moved to Last 16 after winning two very strong opponent - Ding Junhui and Mark Allen. Three Scotsmen entered Last 16 hand in hand. They are Stephen Maguire, notable Anthony McGill and Alan McManus. McManus showed stable performance today and beaten Stuart Bingham and Marco Fu. Young talent McGill defeated Matthew Stevens, who won the final of first week Premier League the day before. Michael Holt and Ben Wollaston also won their three matches and entered Last 16.